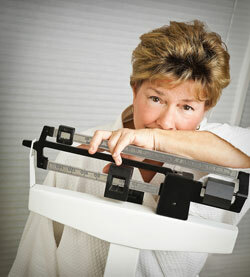 Pharmacy Rx Solutions is proud to offer MIC Plus weight loss injections to our customers. We’ve carefully selected and blended a number of fat-burning and energy-boosting ingredients to form our unique MIC Plus formula. When used in conjunction with a low-calorie diet and moderate exercise, these MIC Plus injections, also known as B12 injections, may help you lose weight. Our weight loss cocktail begins with lipotropics, or fat-attracting amino acids. We include methionine, inositol, and choline – the "MIC" in MIC Plus – for their abilities to remove toxins from the liver, breakdown fatty deposits, and prevent cholesterol buildup. Next, we add several important B-complex vitamins, including Vitamin B12, thiamine (B1), and riboflavin (B2). The B12 vitamin helps to form blood cells, protect the nervous system, and replicate DNA, while the B1 and B2 vitamins assist with the metabolizing of carbohydrates, fat, and protein. Finally, our B12 injection formula is completed with lidocaine and vitamin C, for their anesthetic and anti-oxidant properties, respectively. If you purchase our MIC Plus weight loss injections, we also recommend that you purchase calcium pyruvate supplements. Calcium pyruvate is a natural substance that helps to break down starches and sugars. These supplements are sold separately from our vitamin B12 injection kits. Don’t waste your money on fad diets. Call a member of our friendly staff and let us help you reach your weight loss goals today. Once you have completed the required paperwork, doctor’s physical assessment, and blood tests, we can determine whether our MIC Plus injections are right for you and what dosage would help you the most. Pharmacy Rx Solutions is a licensed U.S. pharmacy that is permitted to distribute our unique B12 shots, so you can be confident in the quality of our products. To learn more about our weight loss packages, contact Pharmacy Rx Solutions today at 1.866.662.0693.